The answer: Youngstown State’s Trevor Wiersma. Wiersma’s 6’3, 225-pound frame is not only intimidating to opposing pitchers but puts the jitters in the legs of first basemen 90 feet away. Trevor Wiersma is more than welcome in the Penguin Clubhouse this year after playing 145 games (140 starts) for Division II Concord University. The big left-handed slugger stacked up accolades while there- being named Mountain East Conference Freshman of the year in 2016, and All-MEC selections as both a freshman and sophomore. While Youngstown is home for Trevor while he chases his MBA, his hometown is Vancouver, British Columbia. Where the seafood is as fresh as you’ll ever have, especially the best-known seafood, BC salmon. 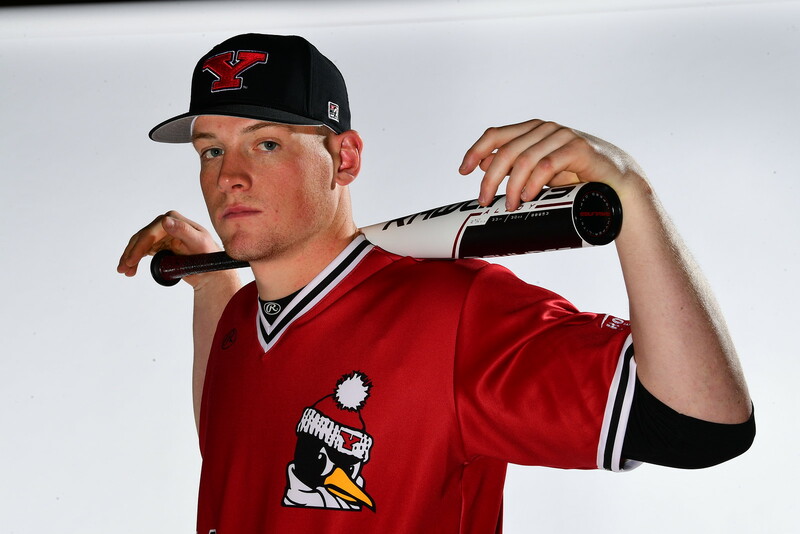 YSN’s General Manager, Steve Leslie sits down with the Big Fish on Campus, Trevor Wiersma for our YSU Baseball Player Profile: THE SLAMMIN’ SALMON.